When companies register for VAT there are two choices of schemes available to them. This can be confusing for small businesses and self-employed people but knowing the benefits of each scheme can help owners determine which one can help their specific business model. There are currently two options available to VAT registered businesses. The standard rate is the most commonly used scheme suited to a range of businesses across several industries. The scheme is mandatory for VAT registered businesses that have a taxable income, expected income or import goods from the EU that exceed the value of the VAT threshold, currently set at £85,000 per annum. Companies using this scheme must complete correspondence with HMRC once a quarter, detailing their input and output tax. If the amount of VAT a business charges their customers is less than the amount of VAT they have been charged for goods and services then HMRC usually refunds the difference. A business that trades goods or services with a lower value than that of the VAT threshold can also voluntarily register and enjoy many of the same benefits that larger businesses do. The standard rate scheme allows businesses to reclaim the VAT they have paid on services and goods from other companies. Registered businesses that sell zero-rated services or items such as food, children’s clothing and car seats can are eligible for VAT refunds. It’s favourable to provide businesses and customers with VAT invoices, receipts and display VAT numbers in professional correspondence. VAT registration lends credence to smaller businesses – this can make trade more appealing to clients and other businesses. Registering a business comes with a considerable amount of admin and paperwork and as VAT returns must be filled on a quarterly basis they require business owners to keep on top of their books. If a company’s output tax exceeds their input tax they will be required to pay HMRC the difference, this is often an unexpected expense which can make it difficult for businesses to budget. Charging VAT could make trade less appealing for businesses who are not VAT registered and could possibly alienate a company’s client existing base as the cost of goods and services will increase. The flat rate scheme is often used by smaller businesses and sole traders such as hairdressers, IT contractors and consultants due to their low outgoing expenses. In accordance with recent changes to the scheme, only ‘limited cost traders’ with goods purchases of less than £250 per quarter or less than 2% of their taxable income are eligible. Businesses using this scheme pay a flat rate of 16.5% of their VAT inclusive income to HMRC. Business owners can reclaim VAT from singular capital goods expenditures that cost more than £2000. However, under the new regulation, they will no longer be able to include purchases such as food or drink, vehicles, fuel or general capital expenditure in their VAT calculations. These measures have been put into place to prevent forestalling, and business owners will no longer be able to include purchases such as food or drink, vehicles, fuel or general capital expenditure in their VAT calculations. Using the flat rate scheme makes calculating the amount of VAT owed to HMRC extremely straightforward as well as minimising the amount of time spent on administrative tasks. Smaller businesses often lack the expertise or funds to keep records of VAT charges, and this scheme largely expedites this process. Businesses with low input VAT can make an additional profit from registering for the flat rate scheme. Businesses that regularly receive VAT rebates or use a high volume of standard-rated goods or services are less likely to be suited to the flat rate scheme. The flat rate scheme requires all taxable sales, including zero-rated goods, to be included in your calculations, making certain businesses less appropriate for the scheme as outgoing VAT may exceed incoming VAT. Businesses registered for the flat rate scheme cannot reclaim any input tax on goods or services purchased. 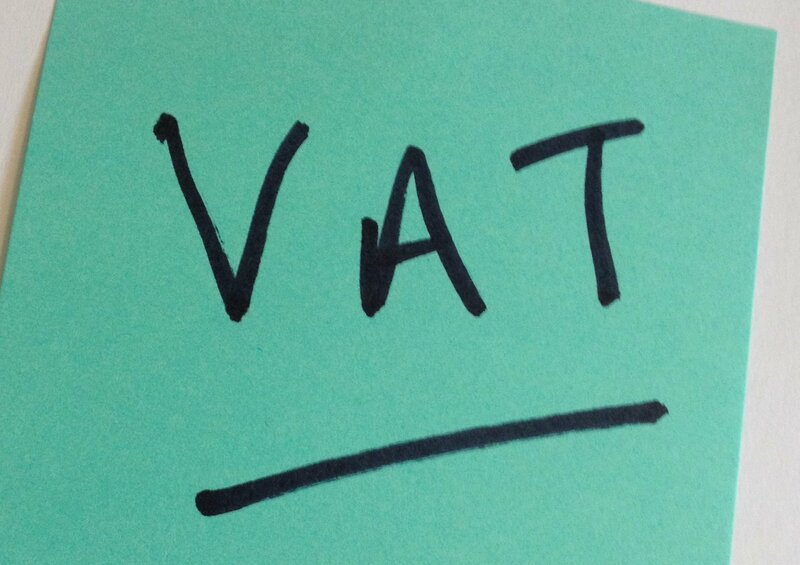 Are you getting close to the VAT threshold and considering your options? An accountant can advise whether registering would benefit your business and what scheme is the most suitable option. Contact an expert at Cottons Accountants to find out how we can help your business.